Vakantiepark Brugse Heide in Valkenswaard - the best offers! Enjoy a wonderful stay at Vakantiepark Brugse Heide in Valkenswaard (Netherlands). You can take advantage of the various possibilities provided by the park and its surroundings. 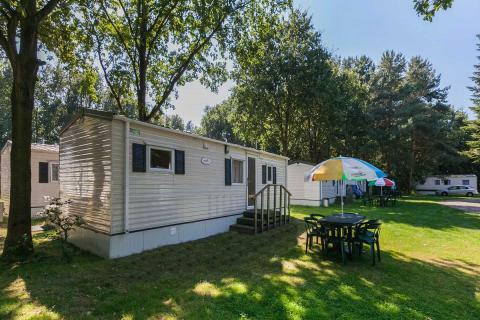 This price applies to 4-person mobile home/caravan Dommeldal, with the arrival as 23 April 2019, 3 Nights. 50% van de totale reissom moet betaald zijn binnen 14 days after booking. 100% van de totale reissom moet betaald zijn binnen 42 days before arrival. Pets are allowed on request. Please make this request clear when booking and the park will take it into consideration. If your request is approved, a surcharge of €5 per pet, per night and a one-off cleaning payment of €10 is applied. The park may ask for a deposit of €250 per accommodation.